Northdown Cafe and Taproom opened in Lakeview in May and I have been wanting to check it out. Wow, I love this place. I was there for lunch and it was a really relaxed and friendly vibe. The menu consists of comfort food and a lot of sandwiches that make it hard to choose from. 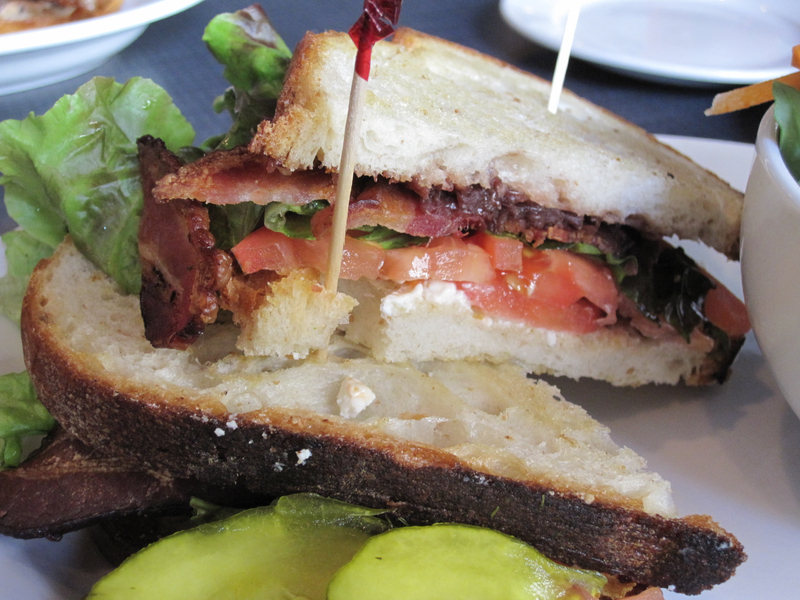 I had a lunch special called the BGLT…that would be bacon, goat cheese, lettuce and tomato on sourdough. How have I NOT had a BLT with goat cheese before? It was heaven. My friend got The Burger which comes with their special sauce and a pretzel bun. She added bacon to keep up with the bacon theme we had going. 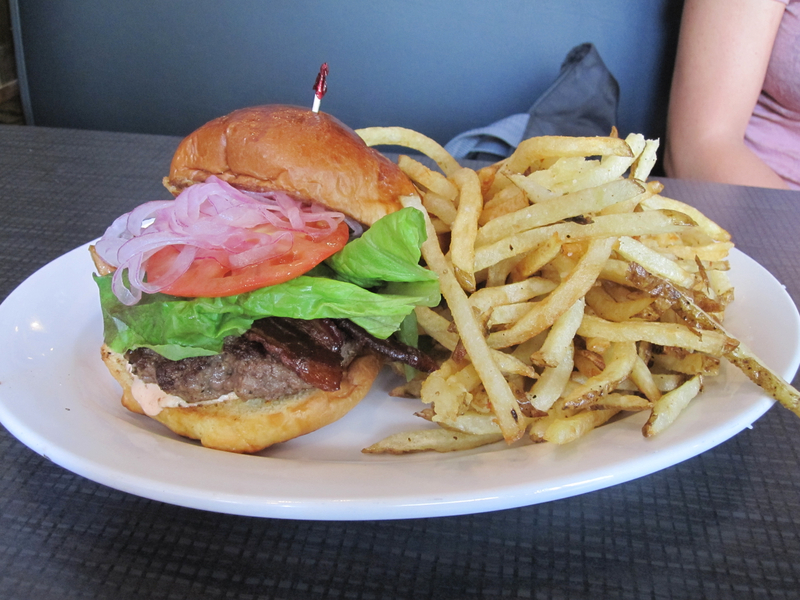 Hand-cut fries that rivaled a french bistro. Very full but with some time to spare to digest we asked the waiter about the pies they had. He didn’t hesitate to recommend the Almond Cream Pie. The pastry chef wanted to make something that could get around a peanut allergy and came up with this genius pie. First of all, one slice is PLENTY to share with two people. Especially after the bacon extravaganza we had just had. 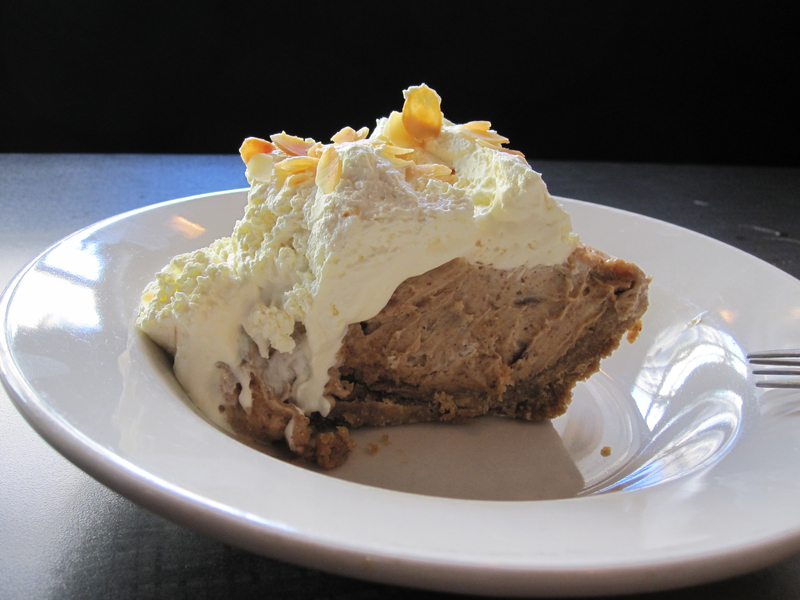 Graham cracker crust, whipped cream and almond filling. I haven’t had a slice of pie since I can’t remember but I can tell you I will not forget this one. They have an extensive beer list (over 60 beers) that I am sure beer drinkers will appreciate. I am not a big beer drinker so I can’t speak to it but word on the street is the list is good. The other bonus is a lot of the ingredients are locally sourced so you can feel good about that. Oh, they have something called Pork Fries…consisting of: French fries with BBQ pork, chopped bacon, cheese sauce, pickled peppers, and green onions. If I had to wager on it, I’d bet I’ll be getting those next time. Great for casual lunch if you are in the neighborhood and have a big appetite. They have free wi-fi as well. I will come back to see what it’s like at night and let ya know. Northdown Café and Taproom is at 3244 N Lincoln Ave, Chicago, IL.